Below are a collection of images highlighting Ian’s work under the surface of our planets abundant water worlds. These images represent just a fraction of the stories and images Ian has made over the years as a certified SCUBA photographer. 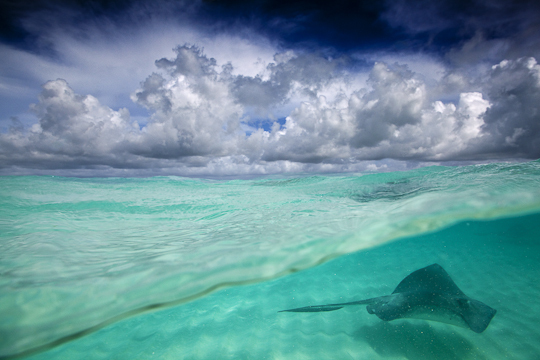 A stingray swims under the waves of a forming hurricane in the Caribbean, Cayman Islands. 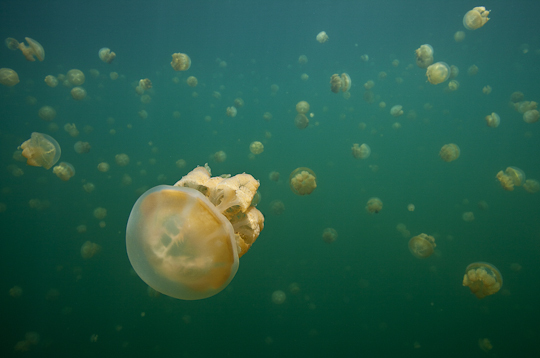 Stingless jellyfish swarm in an isolated, saltwater lake in Palau, Micronesia. 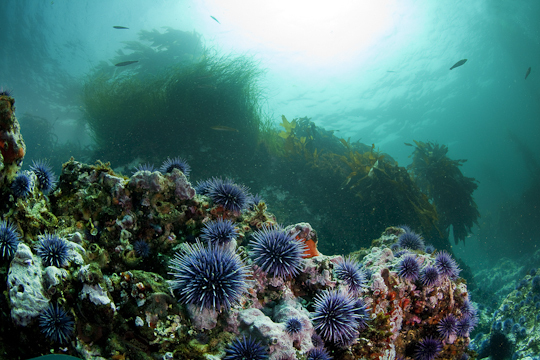 Urchins gather on a rock like an army invading the seagrass and kelp forests of the Channel Islands National Marine Sanctuary inside the National Park, California. 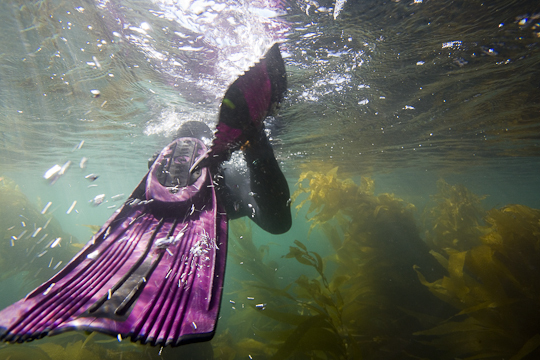 Exploring the kelp forests as a snorkeler, Channel Islands National Park, California. 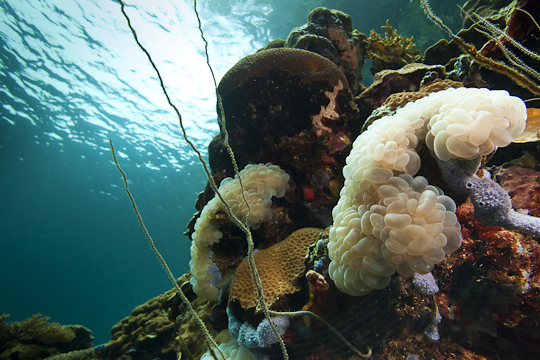 Detail of unusual coral in Palau, Micronesia. 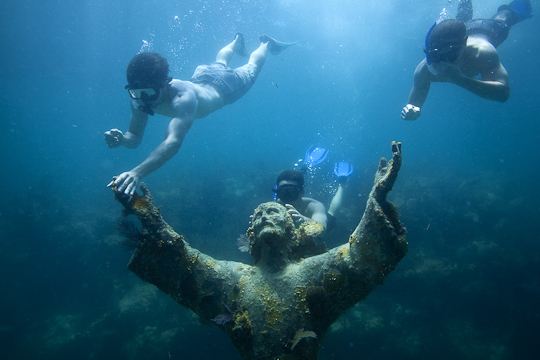 Free-diving to “Christ of the Abyss” in the Florida Keys. 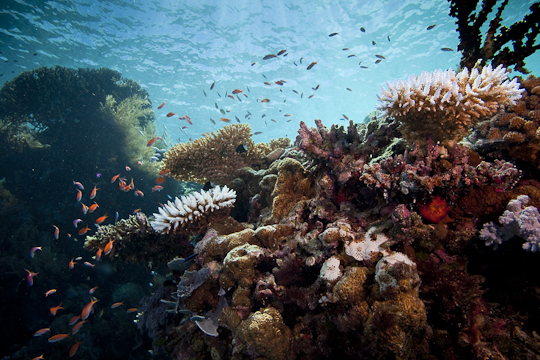 Vibrant, healthy coral and ecosystem in Palau, Micronesia. A salmon rushes up a waterfall in a tributary to the Sacramento River in Northern California. 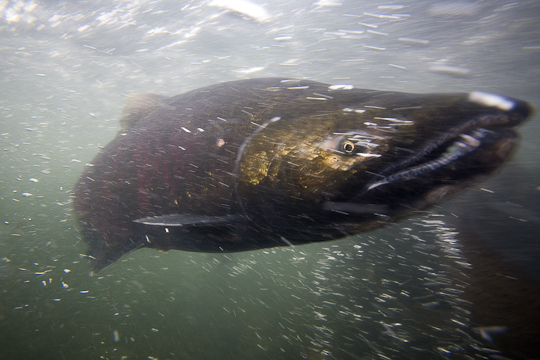 This is one of the last great runs that was seen in NorCal before many salmon died off or no longer made their runs. 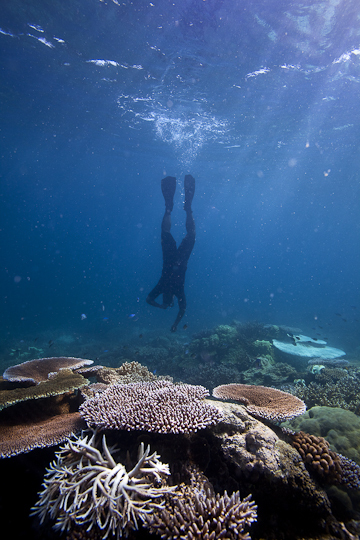 Free-diving to coral as part of a monitoring/science program. 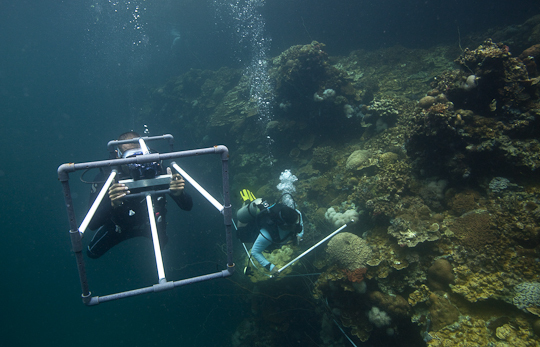 Coral Reef monitoring program, Palau, Micronesia. Part of The Nature Conservancy’s efforts. 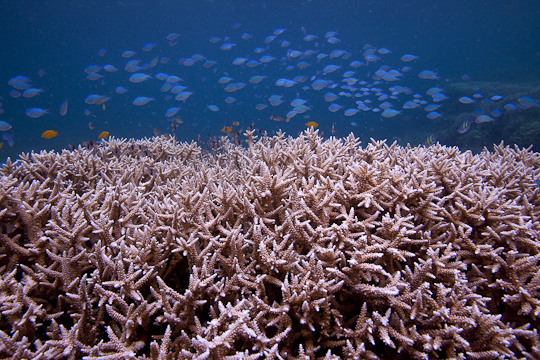 Signs of coral bleaching on an otherwise healthy looking reef, Palau, Micronesia.